FOX has made it official. Earlier this month, Gordon Ramsay indicated that his Hell’s Kitchen TV show had been renewed for a 19th season. Now, the network has confirmed that the culinary competition has been renewed for two more cycles, seasons 19 and 20. The 18th season of Hell’s Kitchen, which finished airing on February 8th, pitted veteran contestants against rookies. Eight former competitors (who’d all lost) returned to square off against eight newbies. At stake was a Head Chef position at the Gordon Ramsay Hell’s Kitchen Restaurant at Caesars Palace Las Vegas and a cash prize of $250,000.00. 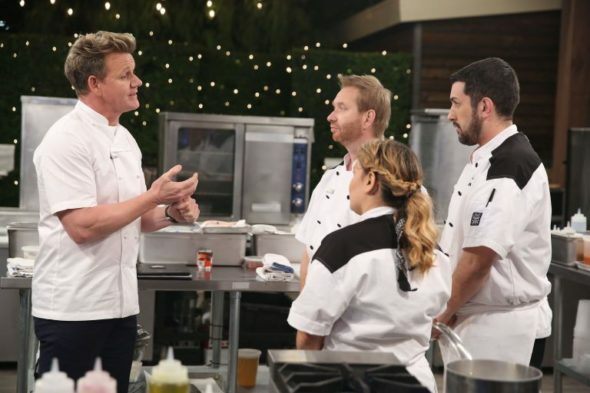 Airing on Friday nights, the 18th season of Hell’s Kitchen averaged a 0.78 rating in the 18-49 demographic and 2.78 million viewers. Compared to season 17, that’s down by 10% in the demo and down by 11% in viewership. It’s the network’s lowest-rated unscripted series of the season but performed much better than current timeslot occupant, the new Proven Innocent drama series. 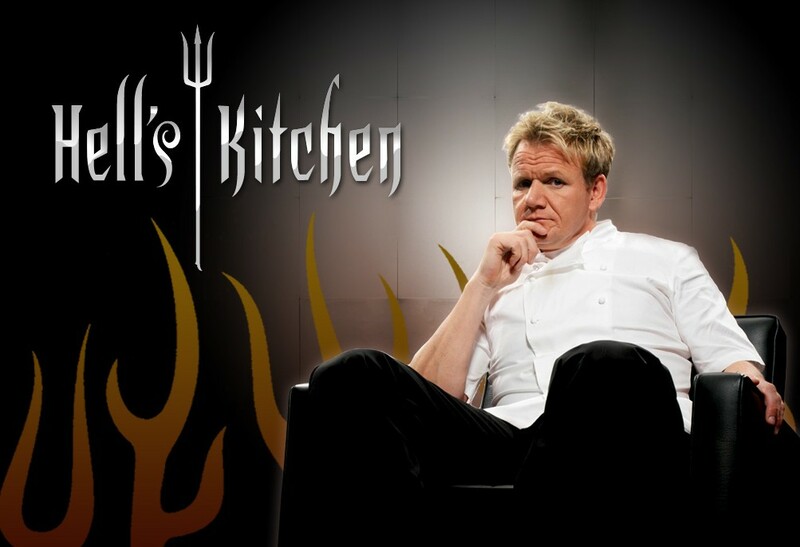 It’s unclear when season 19 of Hell’s Kitchen will air but there’s other Ramsay programming already on the schedule. Season two of Gordon Ramsay’s 24 Hours to Hell and Back is currently airing on Wednesday nights. Season seven of MasterChef Junior is scheduled to begin on March 12th and that program has already been unofficially renewed for an eighth season. The adult version of MasterChef has been renewed for a 10th season but a start date hasn’t been announced yet. What do you think? Do you like the Hell’s Kitchen TV show? Are you surprised that FOX renewed the series for two more seasons? Do you have a favorite Ramsay program? Love it!! It’s the best! Best show ever! It’s the only one I won’t miss!! Best reality show in TV!! !